As per a recent Tweet from the @JioCare handle, a preview of Reliance Jio’s much awaited Fiber To The Home (FTTH) services is “currently” being launched in Mumbai, Delhi-NCR, Ahmedabad, Jamnagar, Surat and Vadodara. Reliance Jio’s much awaited Fiber to The Home (FTTH) service is finally going to show up in Six locations including - Mumbai, Delhi-NCR, Ahmedabad, Jamnagar, Surat and Vadodara. The information was given out to a customer in reply to a Twitter enquiry regarding Jio’s imminent launch of high-speed internet services, expected to offer speeds of up to 100Mbps. 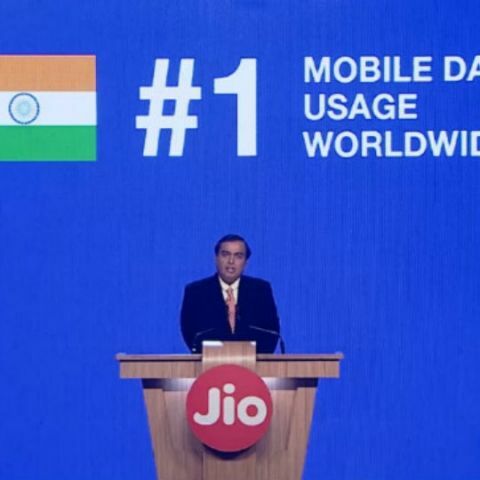 Some would think this was a rather silent way for Jio to announce the preview of its highly anticipated Fiber broadband service, and no other official comment or announcement has confirmed the roll-out of Jio Fiber Preview. Reliance Jio previously confirmed that the company has initiated beta trials of its broadband services in select locations and plans to widen its coverage over the next few months. We found two users, one from our own team, who lives in Tardeo, Mumbai, and has already subscribed to Jio’s services. We can confirm that Reliance Jio started conducting trials in certain residential areas in Mumbai since November last year. However, the company started approaching residents only in February 2017. While pricing for Jio’s FTTH services are not yet known, it is believed they will follow in the direction of the company’s VoLTE roll-out, with market disrupting plans. A recent Teleanalysis report also mentioned that Jio Fibre will be the most affordable home broadband service in India. We have contacted Reliance Jio for a confirmation of the Tweet. Meanwhile, let us know your thoughts on JioFiber. Do you feel Jio will be able to consistently offer high-speed connectivity at affordable rates?